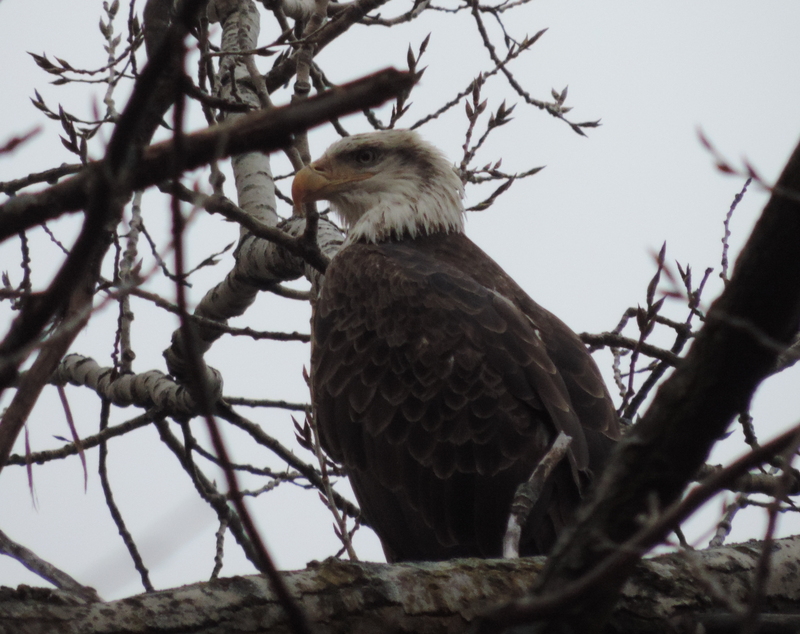 Rich Brown took this awesome shot of a Bald Eagle at Losen Slote Creek Park in Little Ferry yesterday. Rich reports: I spent a couple of hours this afternoon at Losen Slote Creek Park. At one point I counted five Bald Eagles at one time (two adults and three juveniles), flying and perched across the fence towards Mehrhof Pond.